In the previous post about the 2016 RCK Salt Lake City Amateur tournament, I mention briefly a sock scripting malfunction. I thought the story deserved it’s own golf blog post so here it is. In the 2nd round of the tournament Sunday I had some other problems in the shoe/sock department. I can laugh now but at the time I was not laughing. I walked some 20+ miles in some new shoes early in the week and as a result got a bad blister on my left heel, along with some kind of injury on my right arch. So I had some pain in both feet, which makes walking 12 miles in the tournament a little difficult. Here is my ankle scripting for day two of the city am. It held up well. I taped the hell out of my ankle and changed shoes on the 2nd day. That helped a lot. The new old shoes did not rub or make the blister worse thank the golf gods. It was about 7 a.m. and my bedroom was still dark Sunday morning, the day of the second round. As to not wake up the lovely sleeping beauty bride, I quietly grabbed a pair of white Kentwool Tour socks from my drawer and tip toed out of the bedroom and headed to the tournament. In the parking lot of the course when I attempted to put the socks on I found they were about 8 sizes too small. They were my 3-year-old son’s Kentwools, accidentally located in my sock drawer! Complete and utter sock scripting #fail. I had no choice. I stretched them and put them on. Surprisingly I could stretch them enough to cover my feet and ankle. My playing partners/buddies told me “just buy some damn socks in the pro-shop!” I told them, “I’m not going to buy a crappy pair of cotton socks. 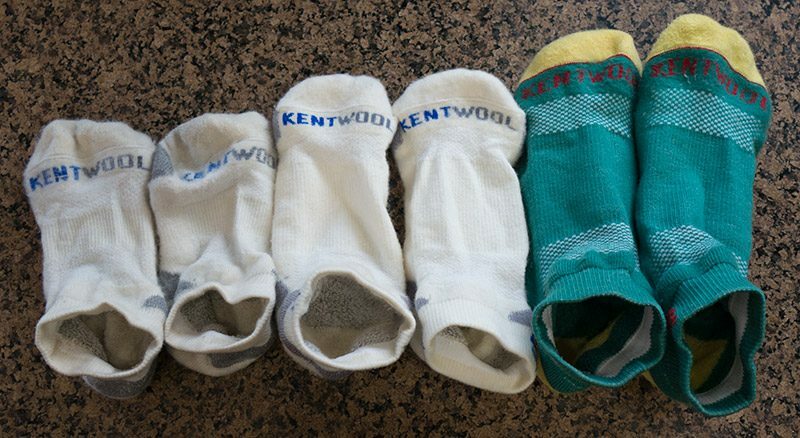 I’d rather wear my 3-year-old’s Kentwools than adult size crap socks.” They thought I was nuts. Then again, they don’t wear Kentwools so they can’t possibly understand. A few holes in my toes were being crushed together and the stretched fabric was not giving me enough padding. I knew if I continued on I’d do even more damage to my feet. On the 3rd hole I called lovely bride and asked her to bring me new socks. On the 8th fairway a cart from the pro-shop came down with a grocery sack for me. Special delivery from the wife. Inside was a pair of white Kentwools. Thank you thank you. On the 9th tee I started to put the socks on and realized something. The socks were my wife’s socks, not mine! Too small again! Dammit to hell! I looked in the sack and fortunately she brought an extra pair of Masters green Kentwools, which were my size. What a relief. Below are all the socks involved in this event, after I wore them all. The smaller sizes are a bit stretched out now. I finished the hot round in 95 degrees with comfy feet and no further issues. Ironically I played better in my 3-year-old’s socks than ones that were my size. Score while wearing 3-year-old’s socks: one over par. Score while wearing socks my size: six over par. The stats don’t lie. I guess I’ll be wearing my 3-year-old’s socks from this point on. Kentwools only, of course. 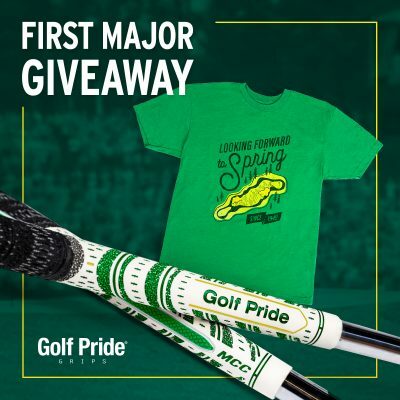 The Golf Sock Mother Lode! If you’re not familiar with Kentwool let me tell you a little bit about them. 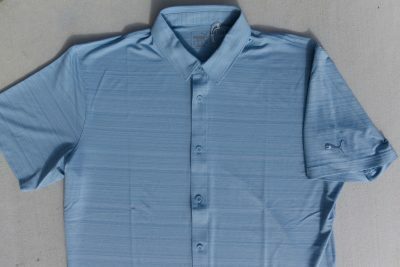 They are an american company dating back to 1843 and have made all sorts of garments including some for the US Military. 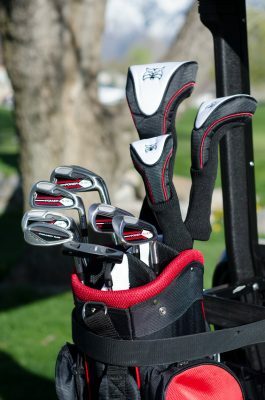 In 2010 they launched a line of premium golf socks which are 61% wool, 27% polyester, 10% nylon and 2% spandex. They’re also 100% awesome. Seriously. There’s nothing close to Kentwools. 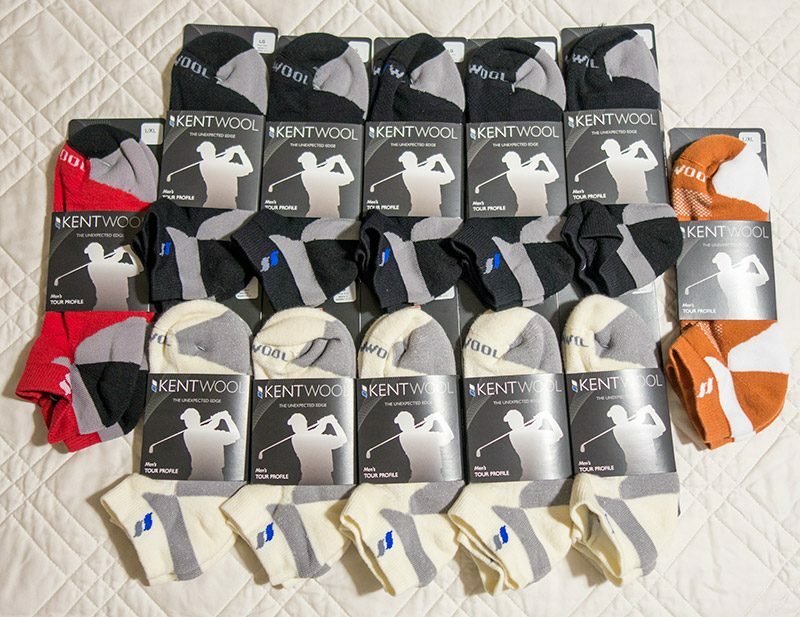 I’ve reviewed countless socks in the 11+ years this modest golf blog has been operating and KW’s are THE best. No comparison. I love my Kentwools so much I’ve made them the ONLY sock choice in my drawer. For me it’s Kentwool or nothing. I posted my first review of the Kentwool Tour sock back in 2011. Pop quiz: What college football team is currently ranked #5 in the AP poll and is still undefeated? Answer: My University of Utah Utes. 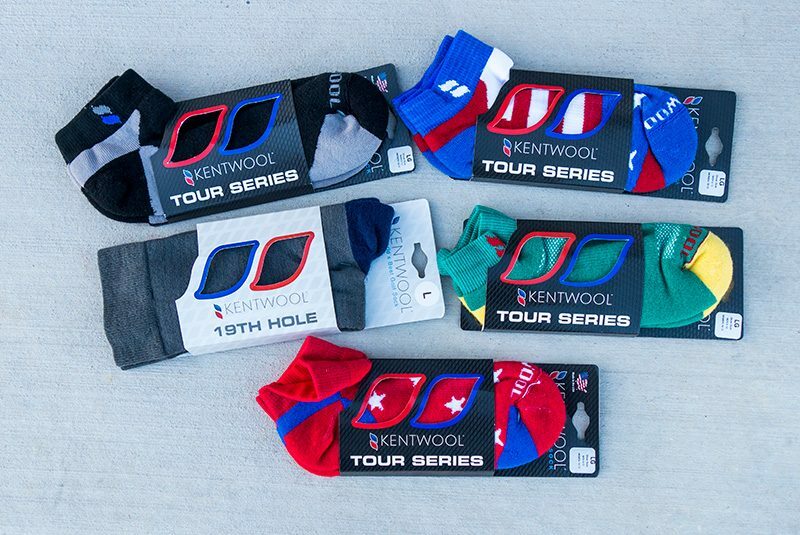 In the festive spirit of college football and college sports in general, Kentwool is now making a new rainbow of colors for their Tour Profile golf socks called the Gameday Collection. The Gameday Collection features color schemes from most colleges out there, including my Utah Utes. Kentwools are the ONLY socks I wear. Period. That’s it. These wool socks are unbelievable and by far the best socks I’ve ever worn, bar none. For info on the new product line see the HogWire press release from Kentwool. 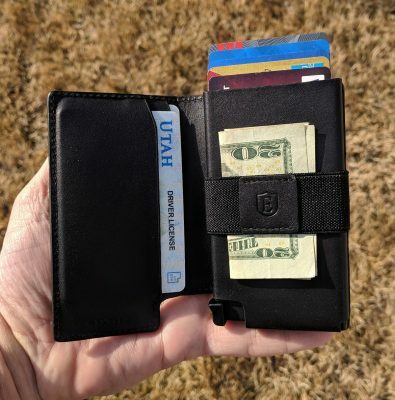 And below are some links to other Kentwool reviews I’ve done.